Have you ever been the victim of a fib, half-truth, untrue rumor or fabricated lie? Well, you certainly would not be alone if you had. I’ve definitely “enjoyed” being wrong many times and I’m sure it will happen again (frequently) in the future. When I was pursuing a bachelor of science in the early 90’s, I became increasingly aware that being wrong was not an if thing, it was more like a when thing. The sheer nature of science implies the perpetual updating of concepts and theories through further research. However, what happens when people do not take on the attitude of (re)adjustment and simply accept their world as a concrete foundation? This does little to promote free and autonomous thinking. 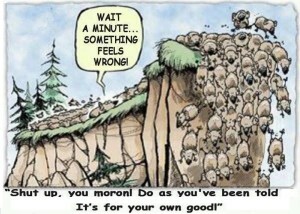 Herd mentality…time to think for yourself! In this article, we’re going to spend a little time discussing why people can be set up from an early age to believe everything they hear. Additionally, we’ll consider the importance of keeping an open mind about subjects that can be billed as slam dunk conclusions. Let’s start with an example that connects with a now issue: technology. Most people today know what a smartphone is and what kind of benefits it can enable us to utilize. I use several “apps” (software application) that enable my job to flow better. I have apps that help me to monitor my finances. I have apps that can monitor my current heart rate. I have apps that can analyze a mole or freckle to determine if it might be cancerous. I have bible study apps to help me dig deeper into the Hebrew root word for something that an English translation couldn’t quite describe. I have apps to grab the attention of my smarty pants 2 year old daughter when she’s inconsolable at a public restaurant. You get the idea. So imagine what would happen if you paid almost $1000 for an app and it’s sole purpose was to do…wait for it…absolutely NOTHING! Here’s a snapshot of this app before it was removed supposedly after 8 people had purchased it. 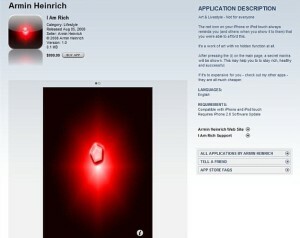 The glowing red shape in the middle was your reward for purchasing this extravagantly priced application. Can you imagine the excitement of buying this little treasure and believing you were getting something really valuable for your money only to find out it was completely useless? We present to you a discussion not so much about bad apps but rather on the nature of what happens when people believe something they deem as truly valuable that to varying degrees may be utterly useless, wrong, inaccurate, and possibly even harmful. Before we delve into particular myths and controversies, let’s discuss how we become susceptible to untruths. There is no way anyone can always avoid being the victim of this but using better tools to wade through our critical thinking (or lack thereof) is a strong preventive measure to being duped. Let’s get started. American education…teaching how to think vs. what to think? Bloom’s taxonomy is a concept that teachers use to help structure and maximize their teaching criteria. The basic premise was to take the structure of individual learning and break it down into levels that could be adjusted based on the needs of the student. For instance, the first step in the learning process is sheer memorization of facts and concepts. Once this information is learned it can be molded and shaped into more useful pieces of knowledge and understanding. 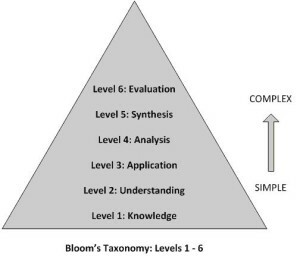 When an educator is trying to reinforce a certain level or stage of Bloom’s, he/she refers to a concrete exercise that represents that particular stage. In case you’re new to this concept, let’s look at a few examples. Many of the chemistry and math concepts I learned growing up had no relevance to my thinking until they were plugged into a real world application. Then my homework made a bit more sense. This represents an application in level 3. If I wanted to gain further mastery I would practice the processes of synthesis and evaluation in order to look for potential moments when a concept didn’t work so well. Situational concepts where something may be true most of the time but in certain cases be construed as incorrect would require the use of synthesis and analysis. Judges use this concept quite frequently in their verdicts. Unfortunately, there is a major weakness in our style of education system. Or consider it a limitation that affects children who will later require skills that necessitate practice in the art of HOW to think abstractly when solutions to their problems are not obvious or attainable within black and white guidelines. Pedagogy is the method or practice of teaching children but it almost always implies a unidirectional flow of information from one person (teacher) to another (kids). The teacher then has the difficult responsibility of keeping the learners (kids) engaged and compliant–corporate buzzwords that adult leadership concerns itself with in productivity discussions–while disseminating the day’s curriculum. Thankfully, adult education has had numerous sources of input as to what kinds of curriculum should be presented to the learner. Agendas have really been to make courses fun, accessible to all and educationally efficient in order to provide people with opportunities to further their vocational skills, mental growth and/or financial capabilities. The last few decades we have seen a shift in learning aimed towards adults which involves more lateral participation. Allow me to borrow a resource to describe my point. Their self-concept moves from dependency to independency or self-directedness. They accumulate a reservoir of experiences that can be used as a basis on which to build learning. Their readiness to learn becomes increasingly associated with the developmental tasks of social roles. Their time and curricular perspectives change from postponed to immediacy of application and from subject-centeredness to performance-centeredness (1980, pp. 44-45). (Back To Chad again…) By no means an exhaustive treatise on the subject of learning, I simply wanted to set the stage for the fact that learning should be about sharing and learning rather than simply obeying someone with more age, power and authority. It was in this environment that many adults were instructed NOT to question what they were taught and develop critical thinking skills in their adolescent and teen years. This has been a major contributor to the “mob mentality” that has plagued society throughout the centuries. 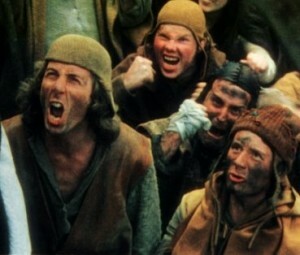 Can you hear the Monty Python crew screaming, “Burn her, she’s a witch!”? All jokes aside, I spend a good deal of time explaining this process at the National Personal Training Institute in Dallas. There is a lot of government-backed information that we’re responsible to discuss. Yet, there is a growing body of more current research that is causing the revisionists in our fields to reconsider the boundaries of what is both acceptable and beneficial for the public. I try to be fair to the students by presenting both sides of various debates for the very reason of putting the critical analysis in the students’ hands rather than my own. I want to teach these students to gather their own information so that learning extends well beyond their class graduation date. These are, after all, adults who will make subjective decisions about many different individuals that will require individualized health solutions. This is why I believe so strongly in teaching our kids this process at a younger age. Many teachers do this but they’re still restricted somewhat by the curriculum that must be instructed. Previous to becoming the director at NPTI, I had thoughts of becoming a Jr./Sr. high science teacher and therefore needed to go through alternative teaching certification. Ironically, no one wanted to hire a teacher “with no teaching experience” although i had spent 2 decades teaching people the art of personal change in addition to anatomical and nutritional science practices. Buzzwords in the teaching industry like engagement were a very real part of my previous career, day in and day out. It was about that time that I was offered the opportunity to use my skills as a personal training mentor to help brand new trainers get their start as a health professional. As you can imagine, nutrition is one of the most impactful conversations that a health professional can have with a client. The American Dietetic Association has been espousing low fat, higher carb diets for decades for the purpose of reducing heart disease and a myriad of other health risks that are related. My college training gave me organic chemistry as a tool to better understand how to defend “our” beliefs. I was trained to understand research-based ideas such as this to be true and unchanging and this was an industry standard to be defended until the end. When the upstart rebels of the low carb, higher fat diets began to grow, war soon fell upon the industry. Personal attacks, discrediting all the apparent “diploma mill” PhD experts and other tactics to vilify these anti-establishment ideas were in full bloom. I was right in the middle of this battle and I vigorously defended the low fat position. Unfortunately, I can’t say that I ever gave it much more thought than a very shallow glance at their beliefs and simply discarded the conversation. Not to be deterred, curious professionals from many industries started to research and experiment and disallow preconceived notions to limit any possible out-of-the-box findings. What resulted was a resurgence of low carb tidal waves and this time people were open to anything that could end the relentless onslaught of obesity and diabetes (type 2) in our country. I finally decided to defect to the enemy territory and give low carb diets a try and not only did I lose that stubborn last bit of body fat but I surprisingly felt more energetic once I had survived the initial few days of my body switching to ketone burning. When I had my physical last year the doctor told me my blood work was the “talk of the town” for someone my age (43 at that time). This was all I needed to know and was finally the point that I abdicated my animosity towards the “low carb advocates”. I’ve learned to appreciate that no diet is right for everyone. Nor does that mean that all low carb diets are evil as is often portrayed by various government organizations. One thing is for certain…Jesus’ “page” was vastly different from many of the religious elite of His day. It’s important to note that Jesus was not merely acting on His own human knowledge. He was partnering with the person of the Holy Spirit (a perpetual advisor for believers; 1 Cor 2:11-12) who was actively guiding Him “into all truth” (John 16:13). We read how Jesus engaged in dialogue/debate with other adult Jews as a young adolescent and impressed many of His listeners. This indicates his memorization and comprehension (first few stages of Bloom’s Taxonomy) of Jewish principles was firmly in place. However, His actual ministry and teaching began after being empowered by the Holy Spirit. The crucifixion was a terminal point that demonstrated that the Holy Spirit was not guiding men lead by jealousy to kill a “conspirator”. The fruits of the Spirit have never listed rage, malice and murder and this was something the Holy Spirit revealed to 3000 people when Peter preached a simple message at the Upper Room. The Spirit was moving in their hearts to consider something that their minds would not have normally reacted to. He was present not only in Peter’s bold proclamations but in the listening of those watching the Upper Room participants act in ways that some misconstrued as drunken behavior. As a spiritual support to many pastors and leaders, I have seen many people take the same idea and react to it 20 different ways. In coaching couples through relationship struggles, I’ve definitely observed how two intelligent people can look at the same scenario through completely opposite lenses. The fact that my NPTI classes have all kinds of personalities all but guarantees that I am going to be the referee for several debates and disagreements over subjects we cover in class. I’ve spoken to large groups and had completely different reactions from my listeners that implied that some were not really listening while others were actively engaged and bringing new insight to me that would further progress our conversations. As a matter of fact, religious denominations have done that and divided and divorced when no agreement could be reached. Jesus stated that God hates divorce (broken covenant between 2 people and God—not just between 2 people before God) and in some ways we can see groups of Christ-centered believers doing this very thing simply because of issues that aren’t even salvation issues. In the Gospel of John, Jesus prayed that the church would be “one”. How in the world did He ever hope for that to happen? (sarcasm) Didn’t he realize how many expert theologians were going to take a crack at scriptural exegesis–and unfortunately a lot of Eisegesis, meaning we first add our own bias to what we think we’re reading and then attempt to interpret what something means–of the Gospel message and therefore create even more disagreement and disunity? 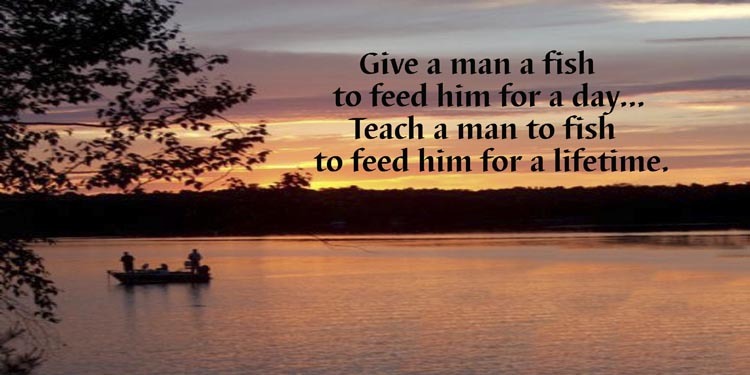 Paul preached that out of sincere love for one another, we should be willing to put others needs above ourselves and even allow the “weaker brother” to have their way out of unconditional love, honor and respect for our neighbor. We’ve mentioned some topics in society where beliefs can be either misunderstood or utterly wrong. The truth about the “evils” of saturated fat and it’s link to CVD is definitely one of those topics. On a spiritual note, I think the concept of cessationism vs continuationism gets a lot of discussion these days. The Holy Spirit has been traditionally neglected and misunderstood mostly because of fear and ignorance regarding His true role in a believer’s walk. I’m glad to see that beginning to change but I have to be honest and admit that I was part of the camp that believed the trinity consisted of the Father, Son and Holy Bible. 1When Jesus had spoken these words, he lifted up his eyes to heaven, and said, “Father, the hour has come; glorify your Son that the Son may glorify you, 2since you have given him authority over all flesh, to give eternal life to all whom you have given him. 3And this is eternal life, that they know you the only true God, and Jesus Christ whom you have sent. 4I glorified you on earth, having accomplished the work that you gave me to do. 5And now, Father, glorify me in your own presence with the glory that I had with you before the world existed. 6“I have manifested your name to the people whom you gave me out of the world. Yours they were, and you gave them to me, and they have kept your word. 7Now they know that everything that you have given me is from you. 8For I have given them the words that you gave me, and they have received them and have come to know in truth that I came from you; and they have believed that you sent me. 9I am praying for them. I am not praying for the world but for those whom you have given me, for they are yours. 10All mine are yours, and yours are mine, and I am glorified in them. 11And I am no longer in the world, but they are in the world, and I am coming to you. Holy Father, keep them in your name, which you have given me, that they may be one, even as we are one. 12While I was with them, I kept them in your name, which you have given me. I have guarded them, and not one of them has been lost except the son of destruction, that the Scripture might be fulfilled. 13But now I am coming to you, and these things I speak in the world, that they may have my joy fulfilled in themselves. 14I have given them your word, and the world has hated them because they are not of the world, just as I am not of the world. 15I do not ask that you take them out of the world, but that you keep them from the evil one.a 16They are not of the world, just as I am not of the world. 17Sanctify themb in the truth; your word is truth. 18As you sent me into the world, so I have sent them into the world. 19And for their sake I consecrate myself,c that they also may be sanctifiedd in truth. Subsequent generations, some try to argue, were gonna lose the manifestations of the Spirit’s power because we would later have the Bible and that inspired text would replace what the Spirit had been accomplishing through miraculous endeavors. Now, don’t get me wrong. 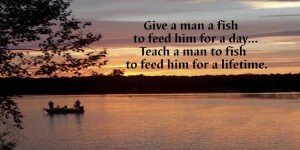 I LOVE THE INSPIRED WORD OF GOD! The Holy Spirit uses it as one of His primary forms of communication and communion with us as human beings. And while He would never contradict what has already been inspired and written, He (Holy Spirit) still speaks, guides and helps us worship in spirit and truth in addition to direct scripture. Ask any prayer warrior that has received comfort, unspeakable joy or peace that passes all understanding. Scripture alone didn’t produce that. The Presence of God within us as believers did! (Ephesians 1:14, 2 Corinthians 1:22). So tell me what to think, Professor! 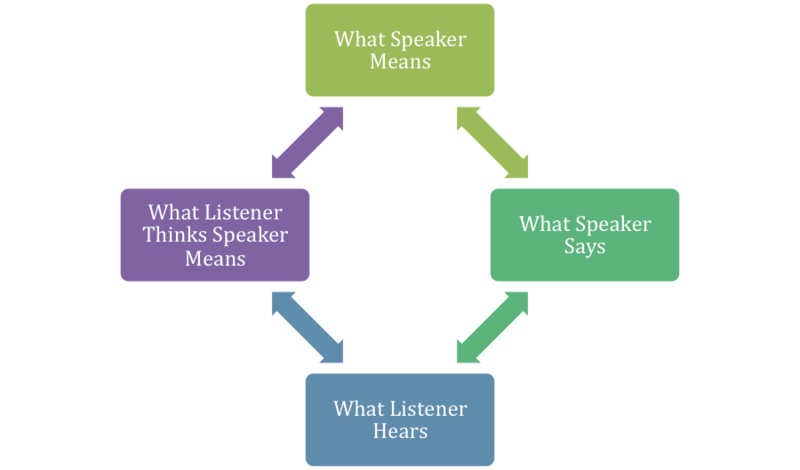 I know many of my personal training students come to our NPTI course expecting me to tell them WHAT to think. They soon learn that I often hesitate to do this and instead focus on showing them HOW to think in regards to their newfound trade. Kathryn Schultz, in both her book and lectures, discusses the possibility that maybe we should grow more accustomed to not having all the correct answers and avoiding the traps that error and inaccurate convictions about our perspective bring us when we’re prideful, assuming and “certain of our rightness”. I can teach them where to search for answers as well as what the current beliefs and guidelines look like. I can demonstate what has worked in the past. I can discuss popular theories. But I don’t want to limit their discoveries and questions by putting a lid on their mental container, so to speak. If I answer their queries, they potentially turn their brain off and just accept my “expert opinion” as bona fide fact and never question it again. As much as I would like to say that the field of science is based purely on fact and complete findings…well, I can’t. Nor will I for the rest of my life, I suppose. 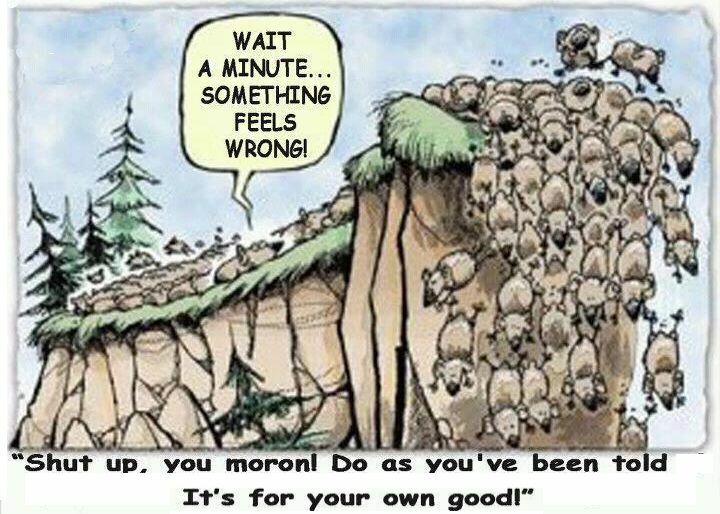 There is a certain element of controlling people (cattle herding) into believing what we believe and that is a scary scenario. Cults have benefitted from that approach for thousands of years. Many marriages have failed because one or both spouses were too fixated on changing the other into thinking the same way rather than sharing the transformation. Parenting research and strategic leadership books have lamented the adverse effects of coercing or controlling our kids or the people we manage in the workplace into behavior that makes us feel secure. We don’t handle mistakes very well and often work really hard to ensure that others don’t make them as well. External motivation (like punishment or consequence) rather than internally-derived motivation (like passion or enjoyment) is usually short-lived and less effective but it’s often the most innate form of “leadership style” that people know how to use. Compliance at its best, . :snicker snicker. This leads me back to why we continue to depend on and cultivate intimacy with the Holy Spirit. Developing our spiritual senses through consistent fellowship and communion will help us in our quest for “truth”. I know that there have been times where my flesh was perceiving the right decision rather than my spirit petitioning the Holy Spirit for direction and understanding. I have a strong sense that this is why revivals in previous generations have stopped. Rather than a “revived” group teach the next generation how to “get their own revival” and keep the fire burning, the “revived” group enacts a new series of doctrinal rules and beliefs which handcuff the next several generations to live off the energy of the initial church pioneers. In some ways, I’m reminded of how the Israelites wanted Aaron to erect a golden calf so they could have something tangible and concrete to worship rather than an invisible God that they were too scared of engaging in person. It’s difficult to trust what we don’t understand or can’t predict. So we prematurely try to create a concrete or tangible memorial, idol, or other representation because it can fit under our jurisdiction and control. It’s much easier to develop a monument to remember something important from the past. Imagine, however, if we maintained ongoing dialogue as well as wisdom and revelation (Ephesians 1:17). We would always have guidance and direction to light our path. Prov 16:9 states, “in his heart a man plots his course, but the Lord determines his steps.” We should strive to trust that to be true and teach our kids and fellow church patrons to seek a vibrant, robust and intimate relationship with the Trinity. So in conclusion, let’s begin to trust people with their own ability to think and act under the leadership of the Holy Spirit and not be afraid of letting people…that includes our children…think for themselves.